Kristina followed her interest in animal behaviour and conservation and studied biology with a focus on conservation, ecology and behavioural ecology at the German Universities of Giessen and Hamburg. In 2007 she completed her studies and obtained an MSc on the Behavioural and Ecological Flexibility of Collared Lemurs (Eulemur collaris) in the Littoral Rainforest of Madagascar, for which she was awarded a scholarship from the German Academic Exchange Service. 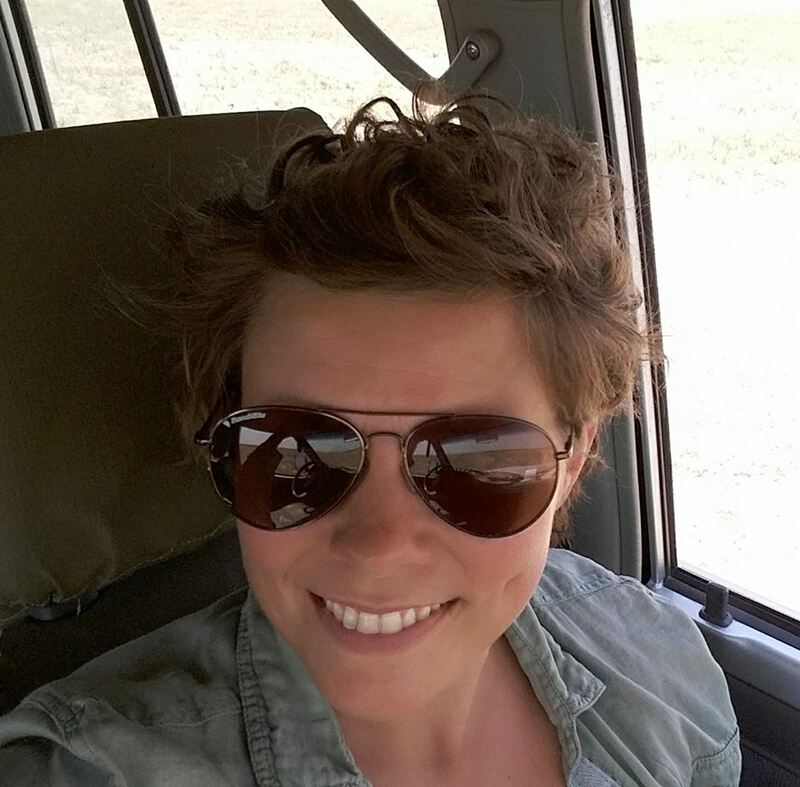 In 2009 she moved to Botswana for her PhD with a focus on the effectiveness of game fences in solving the human-wildlife conflict with lions (Panthera leo) and elephants (Loxodonta africana) along the borders of Khutse Game Reserve/Central Kalahari Game Reserve and Makgadikgadi Pans National Park. She was awarded a scholarship from the German Protestant Study Foundation for this PhD. In 2013 she joined WildCRU to set up and run the Botswana component of the Trans-Kalahari Predator Programme, under Dr. Andrew Loveridge. Since 2017 she has been the Programme Coordinator for the TKPP. The project seeks to gain an understanding of important migration corridors between protected areas of the Kavango-Zambezi Transfrontier Conservation Area (KAZA TFCA). It aims at motivating governments to protect these vital corridor areas and therefore the genetic connectivity of this important lion stronghold. The programme is further running a Community Guardian and Mobile Boma Programme to mitigate human-lion conflict in hotspot areas within the KAZA component of Zimbabwe and Botswana. Kesch, M. K., Bauer, D. T., Loveridge, A. J. (2015). Break on through to the other side: the effectiveness of game fencing to mitigate human-wildlife conflict. African Journal of Wildlife Research. digging holes in Kalahari sands? African Journal of Ecology. of collared lemurs Eulemur collaris in littoral forest fragments. PloS one 6, 5. Kesch, K. (2009). Allomothering and allonursing behaviour in collared lemurs (Eulemur collaris). Lemur News 14, 52-53. Kesch, K. (2008). Flexibility in behavior and ecology of the collared lemur (Eulemur collaris). Diploma thesis, Hamburg University. Lemur News 13, 45.